Wanted: New Forever Family- Beautiful 3/2 in The Savannas near shops, restaurants and the theme parks. This beautiful home shows pride of ownership throughout. Wonderful open floor plan with split bedrooms. The "guest" wing features two bedrooms with a full bath. The Great Room opens to the kitchen area and its perfect for get togethers or watching the game! But this is Florida, so open up your sliding glass doors to your beautiful fully screened pool/spa area. The yard is fully fenced and you have no rear neighbors, as your lot backs up to conservation area. Relax after a hard day or wake up and enjoy your morning coffee on your patio. This home is being offered fully furnished and had a brand new roof in 2015 and a brand new a/c in 2018! 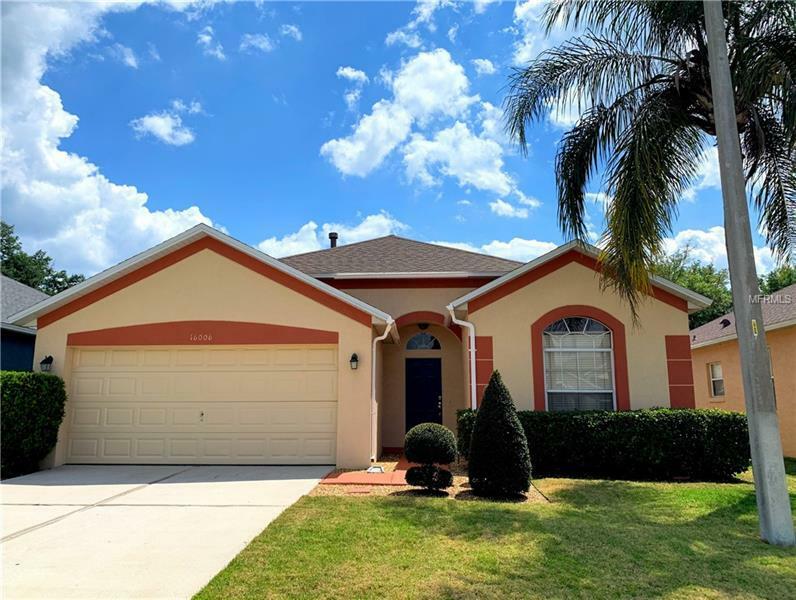 You are also close to Disney and this home will not last long so schedule your showing today! Pet Restrictions: Buyer to verify any and all restrictions with HOA.